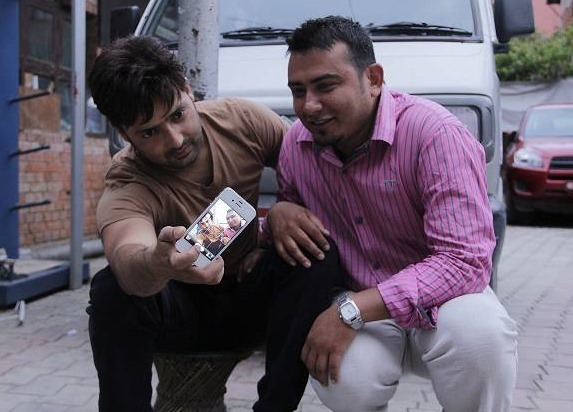 ‘Madhumash’ is the director Sudarshan Thapa’s fourth movie with Aryan Sigdel. The debut movie of both Sudarshan and Aryan ‘Mero Euta Saathi Chha’ was loved by the audience. After the success of the first movie, none of Sudarshan’s later movies were appreciated by the audiences. Sudarshan’s last movie ‘Dhanda’ didn’t do a good business. So, Sudarshan needs this movie to succeed and help him to recover his lost charm. The second venture of Friday Films Pvt. Ltd, ‘Madhumas’ is produced jointly by Baburam Dahal and Sudarshan Thapa. The movie made on the story of husband and wife is a social drama. Prior to it’s release, ‘Madhumas’ has got and average response from media. Both Aryan and Sudarshan’s most of recent movies haven’t done good business. So, the success of the movie largely depends on the positive word of mouth publicity and feedback from audiences. The movie makers have made a Facebook page to share information about the movie to the general public. Following trailers and videos are released in YouTube to promote the movie. This entry was posted in Movie Review and tagged Aryan Sigdel, Madhumas, Manoj R C, Pooja Sharma, Shivangini Rana, Sudarshan Thapa, Suresh Adhikari. Bookmark the permalink.